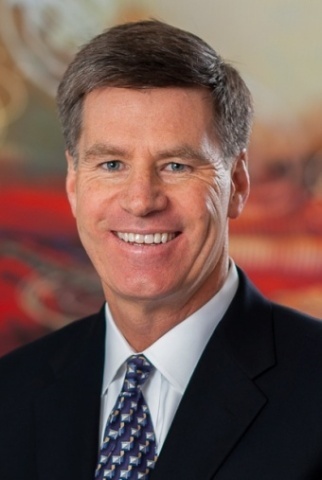 Continuing to strengthen its senior leadership team, Wells Fargo Insurance, part of Wells Fargo & Company (NYSE:WFC) , has named Steve Anderson managing director for the San Francisco Bay Area region, one of the company’s top markets for its Insurance business. Anderson will lead business development, cross-sell, and sales for Wells Fargo’s four insurance offices which serve business banking, middle market and large corporate banking as well as high net worth customers throughout the Bay Area. He is based in San Francisco, and will report to Sam Elliott, regional managing director for Wells Fargo Insurance’s West region. A 15-year company veteran, Anderson joins Wells Fargo Insurance from the Wells Fargo Corporate Banking group, where he recently served as the division head and executive vice president of the West region. Previously, he was regional vice president for the Pacific Northwest. Anderson also served in several leadership positions at Bank of America and Security Pacific Merchant Bank prior to joining Wells Fargo. Recently named Best Insurance Broker in the U.S. by Global Finance Magazine1, Wells Fargo Insurance provides solutions for a wide range of customers, including retail consumers, high net worth individuals, small businesses, as well as middle market and large corporate customers. Wells Fargo Insurance writes or places $11 billion of risk premiums annually in property, casualty, benefits, international, personal lines, and life products and also includes one of the nation’s leading crop insurance providers, Rural Community Insurance Services (RCIS). Wells Fargo & Company (NYSE:WFC) is a nationwide, diversified, community-based financial services company with $1.7 trillion in assets. Founded in 1852 and headquartered in San Francisco, Wells Fargo provides banking, insurance, investments, mortgage, and consumer and commercial finance through more than 8,700 locations, 12,500 ATMs, and the internet (wellsfargo.com) and mobile banking, and has offices in 36 countries to support customers who conduct business in the global economy. With approximately 266,000 team members, Wells Fargo serves one in three households in the United States. Wells Fargo & Company was ranked No. 29 on Fortune’s 2014 rankings of America’s largest corporations. Wells Fargo’s vision is to satisfy all our customers’ financial needs and help them succeed financially. Wells Fargo perspectives are also available at Wells Fargo Blogs and Wells Fargo Stories.